Well, I haven’t written a blog in a while due to life becoming crazy all of sudden. LOONNNGGG story short. We need to move and in the process of the last four weeks it has been a yoyo of yes we are moving in a couple weeks…never mind we are not going with that house…mix that with some people drama (I really don’t like drama) and I have a headache. 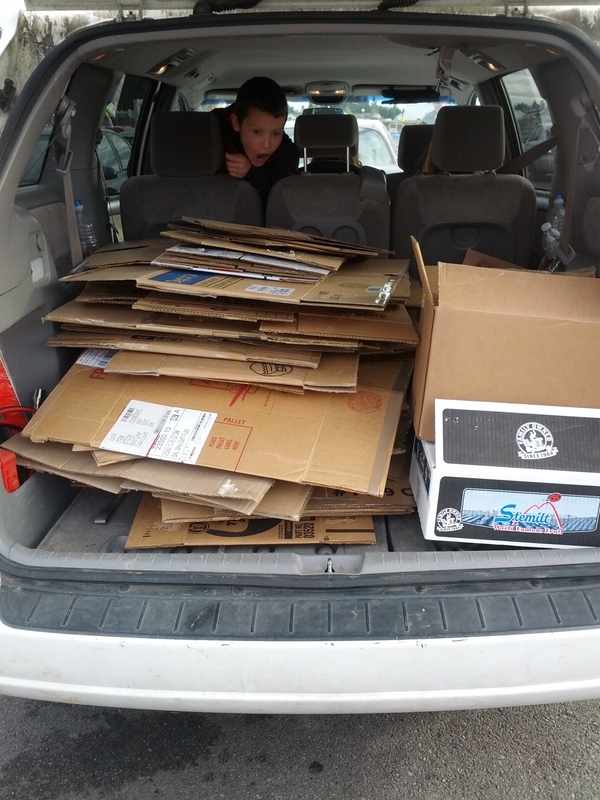 I have a pile of boxes packed and the kids school has suffered. UGH! On top of it we have had some MAJOR computer issues. Hence, no blogging. In fact the computer I am using at the moment has a sticky space bar and is a bit slow. BUT I must write at least to say “I am still here! I haven’t given up on the blogging!” I itch to write, but I must say the space bar that keeps making me back up and retype is a bit of a deterrent. In the midst of this craziness I have had to remember on a daily basis that life is short and repeat to myself “You’re going to live this whether you enjoy it or not SO purposefully Enjoy it! Lean on God and look to the amazing abundance of blessings around you! Lean into the fact that God knows what He is doing even if you don’t know.” Life is just too short to worry about some of the details. So, we have been going with the flow. Thanksgiving was a WONDERFUL time with family. Christmas is coming soon and we are focusing on the reason for this season. We are thanking our God for the amazing gift of our Savior. The nativities are up. I have one that is mine (no tiny hands touching) and we have a kids nativity. The wise men are in the hall doing what The Carpenter calls “their Lord of the Rings” Journey. 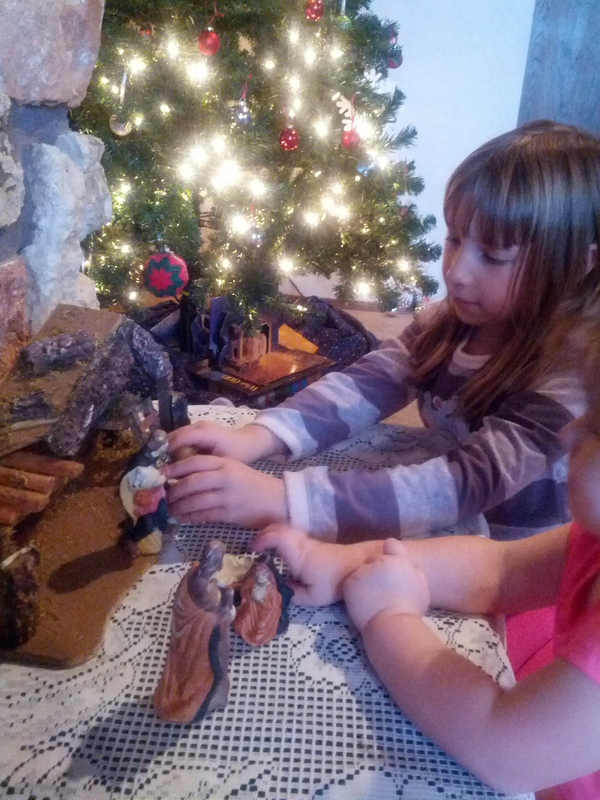 Each day the kids move them a little closer to the manger. The kids are allowed to play with the nativity characters. Mary has been glued more than once but it is their set and they love it. The manger is currently empty. It is our tradition that baby Jesus shows up on Christmas morning. The kids LOVE this tradition. They run to the living room on Christmas to see his arrival. (Last year Mommy forgot to put Jesus in on Christmas Eve so the kids came in and there was some confusion until Mommy quickly fixed the problem. LOL oops ) Then we read the Christmas story before any presents are opened. Our wise men come the next day. I am looking forward to blogging more in the next couple months. Most of my information and blog posts I have been working on are temporarily being held hostage in one of the computers that is having issues. When I get them out of lock up I plan on blogging about my meal planning system (which has been a HUGE lifesaver with all this craziness going on) and The Carpenter has some great projects to share. SO, don’t give up on me 🙂 I am still here. Have beautiful holiday season. See the blessings around you and rejoice. I have to say this is one of my favorite helps in the kitchen. This week in MOPS (Mothers of Preschoolers) we made “I am thankful for…” Dry Erase Frames.